Disclosure: This is not a sponsored post. I was provided with a roundtrip car service to and from the airport in order to facilitate this review. All words and opinions expressed are 100% my own. New York City driving can be scary, especially if you and your kids are passengers. Nothing like a long car ride and your child on your lap. 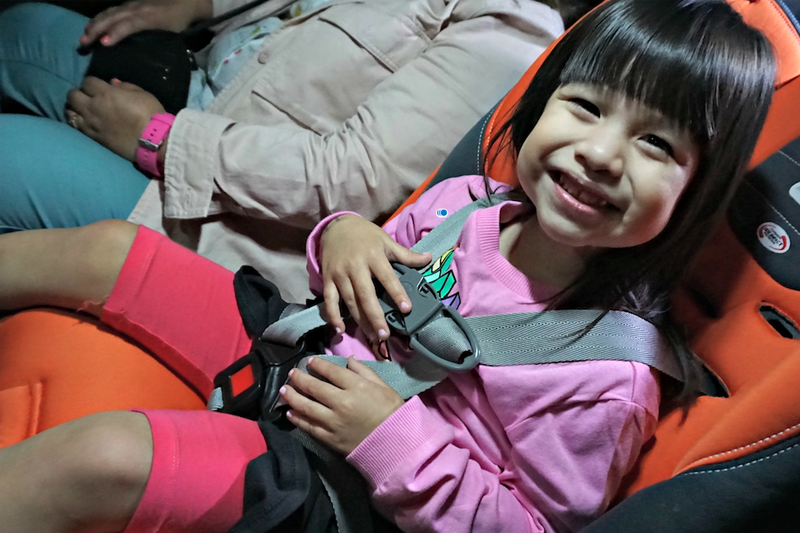 As a family that travels to Mexico every Summer we rely on NYC taxi car rides to go to the airport and to come back home, that means that since we don't own a car seat we also rely on the car service and their car seats, if they have any at all. A few years back we got to actually try the car seat for a shuttle airport service and it was a nightmare. The car seat was all broken, dirty and just not comfortable. A few days back we had the opportunity to experience a car service that was completely the opposite from that bad experience a few years ago and I am here to share with you, why the next time you ride to the airport or need a ride from the airport to your home or hotel you need to make sure it is with KidMoto. 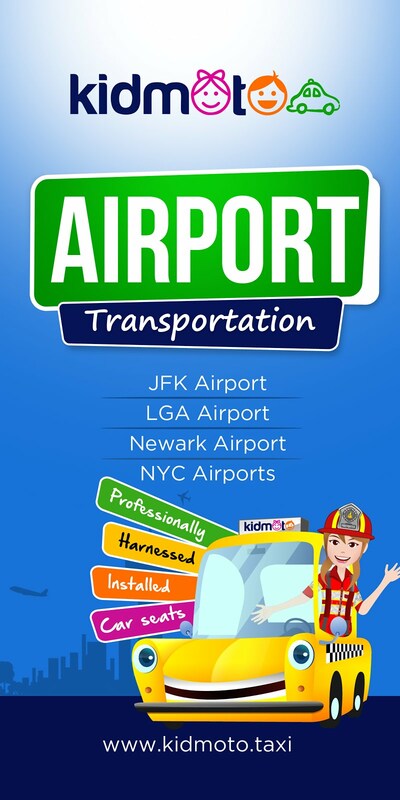 Kidmoto Technologies was founded in November of 2016, with the intention of providing parents and kids a safe airport taxi service to all major airports located in that NYC area. CEO Nelson Nigel was a former NYC yellow taxi driver and got to see firsthand just how important being able to offer safe transportation to families was, not only that but being a dad himself he knows just how important car seat service is for parents. 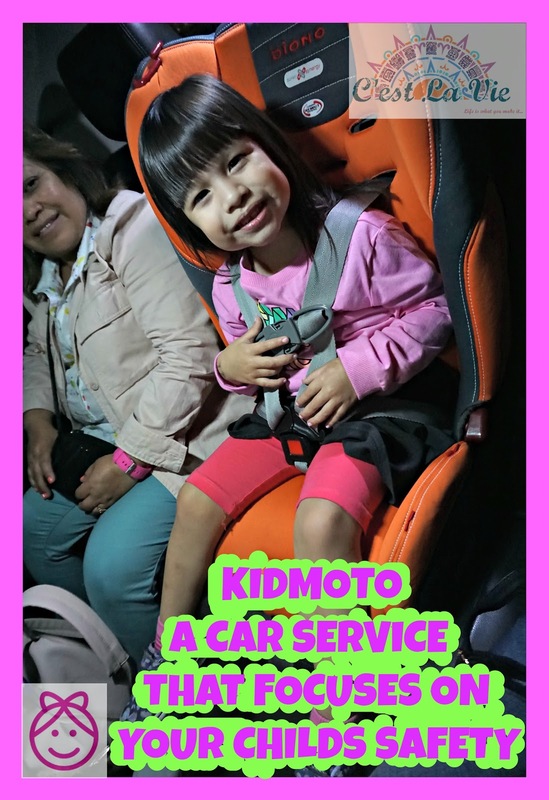 The Kidmoto team offers professionally trained drivers that are Kidmoto certified to install car seats, perfect for parents like myself who do not know how to install a car seat. Not only that but each Diono car seat is clean, suited for your child's age, and perfectly installed. Kidmoto makes it easy to book a ride with them, all you have to do is download the Kidmoto app. And from there choose your pick up location whether it's from the airport to your house or from your house to the airport. In our case, we were surprising our parents by picking them up at the airport. They had no idea we would be there, neither did we but thanks to Kidmoto we were all able to fit in the car, and even Valentina in a car seat. Just look at Valentina's smile, for a child who hates all car seats and loves sitting in her mom's lap she was pretty excited about riding in a car seat. We were all comfortably seated in a big SUV and had plenty of room to spare. One thing that I have to also point out is the great communication with your driver which is available almost 24/7 via the messaging tab on the app. Everyone knows that airplanes can be delayed and what a hassle it is to call a car taxi service and wait over the phone for almost half an hour just to have to change your reservation or tell them about the change of plans. Kidmoto makes it really easy for you to communicate with your driver, which you are told who will be, a few hours after making your reservation, also via the app. Our driver ended up being Nelson, the CEO of Kidmoto and you have to love talking with the person behind the brand and getting to listen to them talk about how their dream that has become a reality and how being a parent himself, he knew just how important and much needed this car seat service was. He knows the importance of safe transportation and just how much our kids need it nowadays. Let us not forget that even though you are the safest driver, there is always that drunk driver or person distracted by their phone that can affect your kids and your own safety. You can check out the Kidmoto website to read more about their service and check out a few videos that they offer. You would think that it would stop at car seat service but no, they also offer Pack N Play Playard rentals and strollers. How many times have you ended up traveling and having to lug around a pack n play that would hardly be used. Kidmoto, really knows how to make it easy and smooth when traveling with your kids in NYC. This city is already crazy as it is, so thank you to Kidmoto for making it easier for us parents. Make sure to follow Kidmoto on Youtube and check them out here. It will make your visit to NYC that much smoother next time. 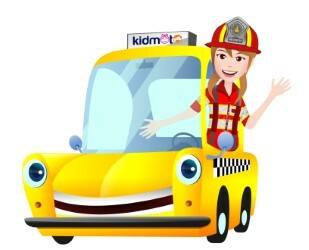 Now for some fun news, One lucky C'est La Vie rider will win a Roundtrip transport car service with Kidmoto! Yep, 100% off your ride, except for tolls. 1 comment on "Finally A Car Service That Focuses On Your Childs Safety - Kidmoto Airport Taxi Service "
Kidmoto Technologies™ started in New York City in November 2016 with the vision of creating an app for providing safe airport taxi transportation for families with small children. Kidmoto aims to help safety-minded parents navigate the complex and hazardous world of airport transportation. Car services and taxis do not provide secured car seats for small children. Too often, parents are faced with the reality of just “jumping into a cab” with unrestrained children. Kidmoto created a solution to a problem and provides a fresh perspective on the hardships that parents face. The Kidmoto mission is to provide the convenience of accessible and safe airport taxi transportation for families by growing a network of drivers that provide professionally secured car seats for safe airport transportation.